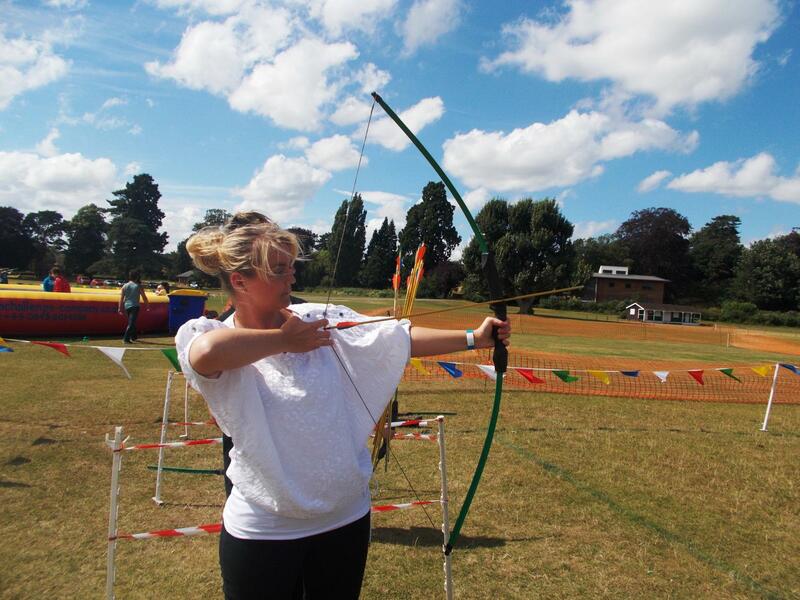 It was a glorious day at Cobdown Sports Club in Kent for the beginning of the Cabot Corporate Family Fun Day 2013 and despite the thunder and lightening the previous evening, managed to remain that way for the entire afternoon ensuring that our guests had fun in the sun. With an array of exciting activities to try from our Bouncy Castle and Human Demolition for the children right through to Inflatable Chip Shot Golf and Pillow Bash for the adults we needed every minute of our 5 hours to make the most of the incredible activity selection! It wasn't just activities that kept the team entertained, Clumsy the Clown had a clown workshop ongoing through the day teaching the kids (and the big kids!) how to plate spin, juggle and balloon model. 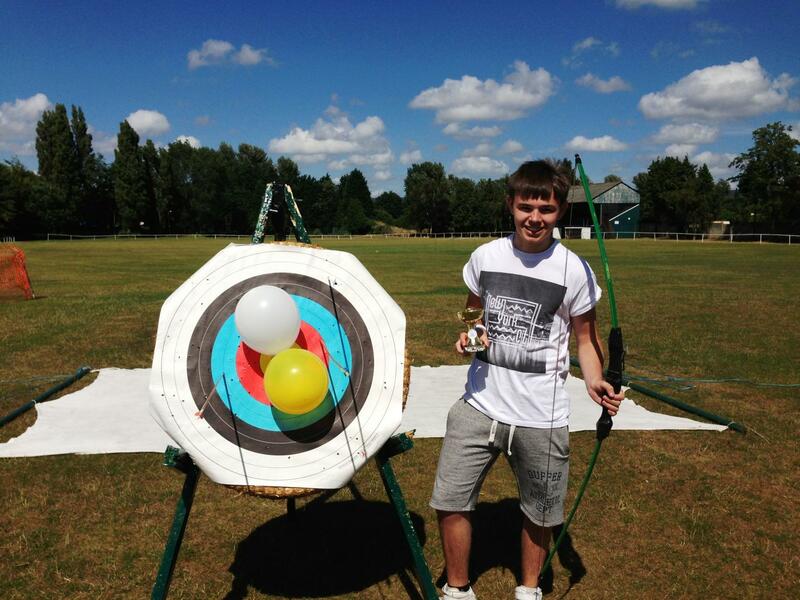 The Corporate Family Fun Day competitions over in the Target Zone were also enough to keep the competitive spirits alive as it fell to Charlie as the unchallenged archery champion to become our first deserving winner. Next up was the speed shot on the Laser Clay Pigeon Shooting where Devlin came out of nowhere to prove that the dark horse is definitely one to watch! The big spectacle of the afternoon was our It's a Knockoutcompetition for the adults which saw the four teams battle it out for the top spot to take home our chalice of champions. They say it's wet, wild and wacky and this definitely was as our team had the super soakers on full speed. With five difference wacky races to compete in the teams had to really go for it and in the end it was close at the top. In last place taking home the wooden spoon was the Yellow Team with 3200 points while the Blue Team just made it into 3rd with 3400 points. The runners up were the Orange Team with 3600 points as the Green Team took the lead, and the Team Challenge Company trophy, with a fantastic 3800 points! Well done to all who participated and all of the encouragement from our spectators. We had a fantastic afternoon with you all, especially meeting Claire and allowing her, the team and their families to enjoy the event after all of the hard work that was put into the organisation of the event from Chrissie, Nicole, Nicky, Claire and the rest of the team. Well done the attention to detail definitely paid off guys and we look forward to our next opportunity to work alongside you. "What a brilliant day! Claire, I hope your bag tan is fading haha! 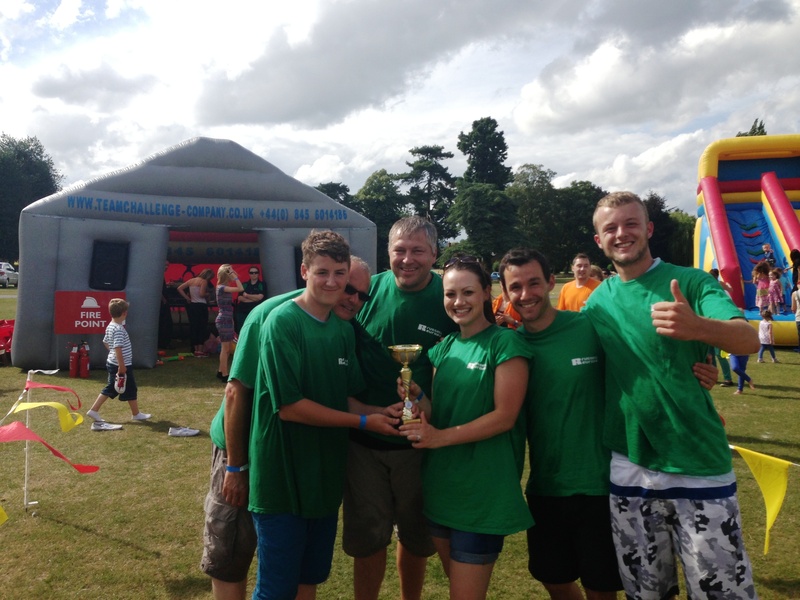 Had an absolute blast, especially with the it's a knockout teams getting so involved (and so wet!). Loved the day and very much look forward to seeing you all again. Sarah-Jane"